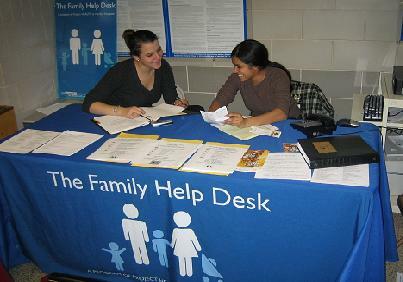 Health Leads volunteers work at family help desks at Harlem Hospital. They work directly with patients, doctors, and nurses to link patients with eligible health insurance and other programs such as food pantries, adult education and employment as requested. Volunteers also follow-up with patients and doctors and attend reflection session to discuss issues in public health and poverty and to talk about program development. The advocate commitment is approximately 5 hours per week, on and off campus. Interested in volunteering in Health Leads? If you are interested in volunteering please email healthleadscolumbia@gmail.com.